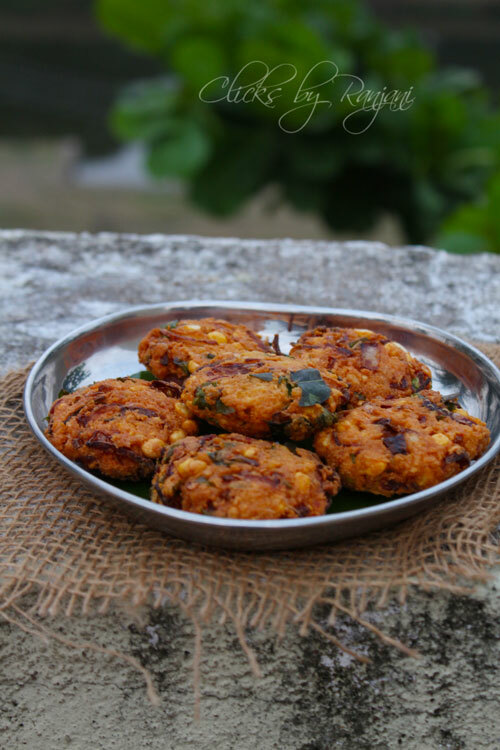 Masala vada recipe / paruppu vada – most craving street food and frequent snack in south Indian homes.anyone can easily hook by the smell of paruppu vada from tea shops. Chai and masala vada is the best combo ever. 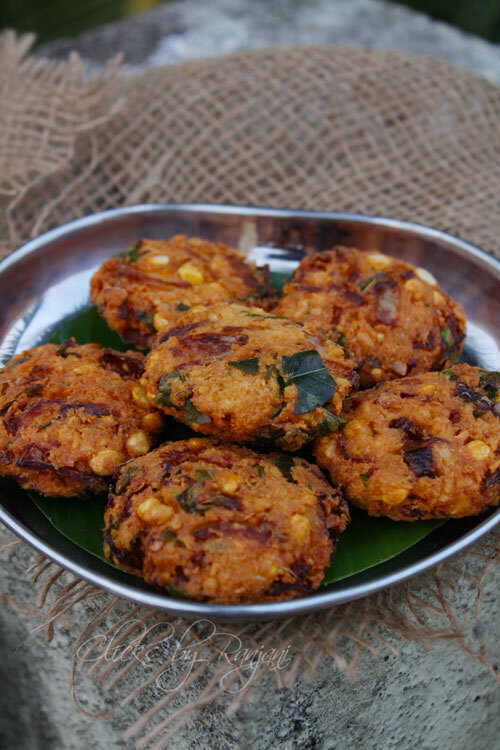 To make flavourful masala vada, we can add few mint leaves to it. Soak channa dal in water for at least one hr. Rinse well and completely drain the water. In a mixer. Add red chilies and fennel seeds, give a quick blend to make it coarse level. Then add soaked channa dal to it. Grind without adding water. One quick blend is enough. Do not grind to smooth paste. The batter must be coarse level. Add salt, turmeric powder, chopped onions, green chilies, ginger, curry leaves and coriander leaves. Mix everything well and keep aside. Heat oil in a kadai to fry paruppu vada. Take a small portion from the batter , make it round and flatten as vadas using palm. Drop in oil and fry on both sides until golden brown. Serve with ketchup or chutney. Do not grind the batter to a fine paste. It must be coarse consistency. Add salt and chilly as of your taste. Fry vadas in medium low flame to avoid burning. So colourful and beautiful, it is on my to do list for this weekend since this is a great recipe to enjoy with my family, thanks for sharing! nice recipe really like it, Thanks for sharing.